Sony's innovative deal with Marvel to share custody of Spider-Man has been a win-win proposition for both sides thus far. It managed to get fans excited about yet another reboot of a franchise that had already been down that road once, helped lead to the casting of Tom Holland as the wallcrawler, and got Spidey involved (to crowd-pleasing effect) in Captain America: Civil War. 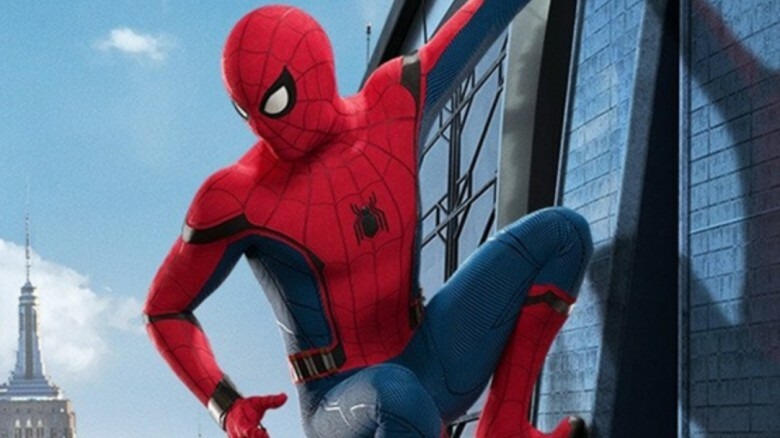 The crossover magic continues this summer with Spider-Man: Homecoming, in which Robert Downey, Jr.'s Tony Stark plays superhero mentor and father figure to our young hero, but as it turns out, Spider-Man's days as a member of the Marvel Cinematic Universe might be coming to a close fairly quickly. Former Sony exec Amy Pascal, who helped broker the deal before her departure, hinted at a looming split with Marvel during a recent interview, pointing out that while the studios teaming up might have been absolutely right for the character, the various franchises, and the fans, companies this size tend not to cooperate closely if they can help it. "One of the things that I think is so amazing about this experience is that you don't have studios deciding to work together to make a film very often," mused Pascal. "In fact, it may never happen again—after we do the sequel." Of course, "maybe" is a far cry from "definitely not," and even though Sony and Marvel are ostensibly partners here, there's still a certain amount of corporate gamesmanship that has to come into play whenever the subject of extending a deal comes up. As Forbes points out, there's still every possibility that Spider-Man could remain in the MCU well beyond the current pact, which calls for the character to appear in the two Avengers: Infinity War films and continues through the Spider-Man: Homecoming sequel. On the other hand, recent reports suggest Sony is intent on building its own non-MCU Marvel universe out of assorted Spider-Man characters, so there's also a chance they could decide to go it alone once they feel they've solidified their own brand. Long story short? Only time will tell what happens with Spidey on the big screen. In the meantime, he'll be in at least three more MCU adventures—which is more than fans could have hoped for just a few years ago.